The easiest method is probably to use a thin piece of metal called a "shim" to unlatch the locking mechanism on the shackle. A beer can cut up with scissors will suffice for most locks, a pretty low-tech solution if you don't have many options. 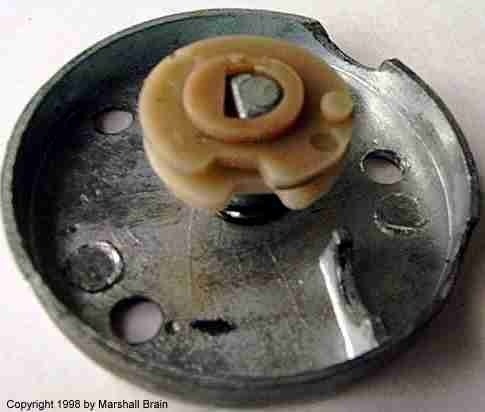 Head on over to this article to see how the same method can be used to break newer locks with "anti-shim" mechanisms. If you'd like to try a more subtle approach, you can always just hack the lock's combination. This trick narrows the possible combinations down to only a hundred or so. It requires some math skills, and definitely a little patience, but given both, you'll soon have the combination to the Master Lock of your choosing. 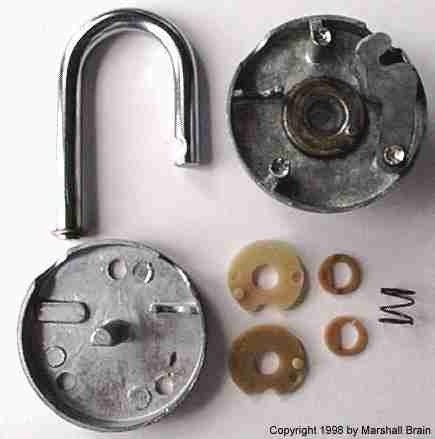 If all else fails, you can always crack the lock with a good old-fashioned safe cracking trick. Using a drill and a flashlight, you can find the combination to any Master Lock in four easy steps. Drill a quarter-inch diameter hole halfway between 9 and 12 o'clock, just inside the ring. Shine a light inside the hole to see the disk that spins when the dial is moved. Look for a U-shaped notch on the top disk. Once you find the first notch, line it up with the hole you drilled and note the number that the dial is on. Find the second disk underneath the top one. 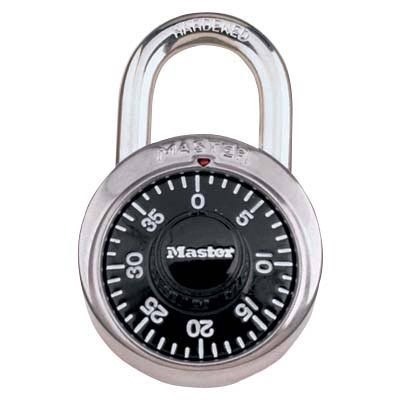 Spin the lock in the opposite direction to locate the second notch. Repeat for the third disk (reversing the direction once again). You should now have the combination for the lock. 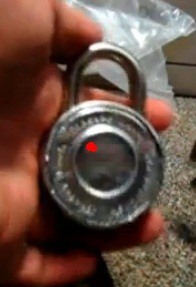 If you want to reuse the lock after this, superglue something onto the back to cover the hole. 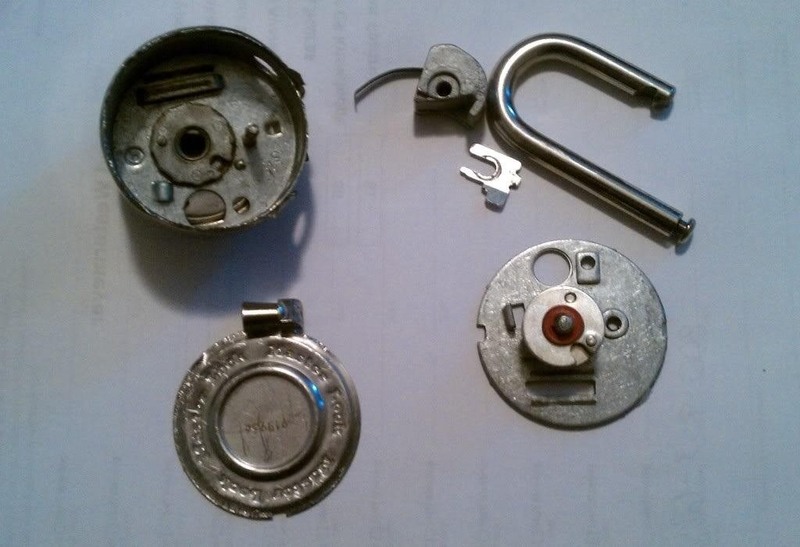 If you can't seem to get any of the above options to work, you can always resort to opening it up with a can opener like master lock-picker lancoff.